Over the past 7 years, we have participated in an international program called HelpX Exchange. It pairs up people who are traveling with hosts. 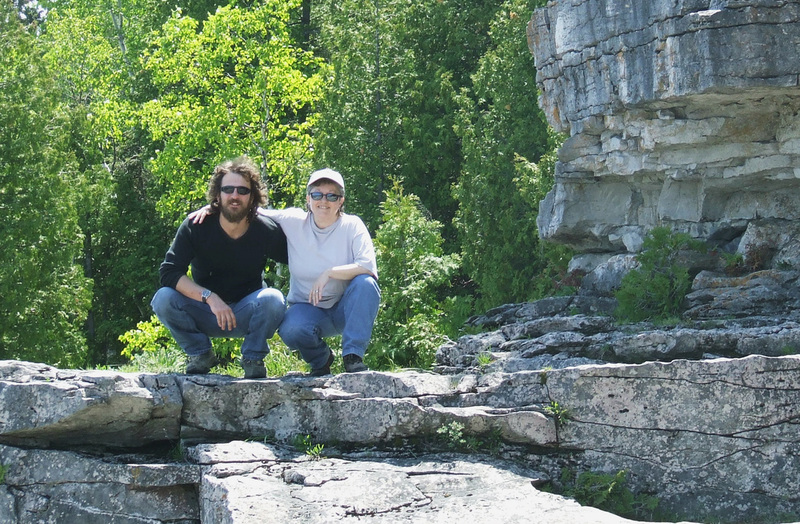 The travelers, usually young people from all over the world, come here to Dragonfly Ridge for a prearranged time. 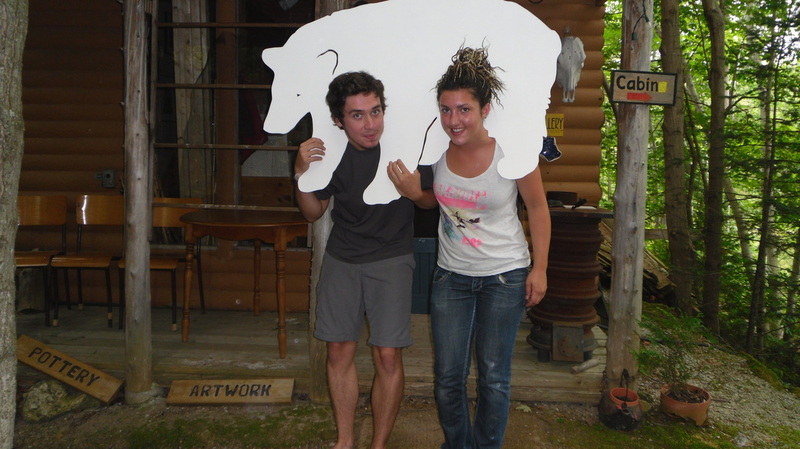 They help us with the studio, gardens and the cabin, or whatever is in on the to-do list that year. In return, they get room and board and become a part of our family. And they all have become friends who are welcome back here any time. 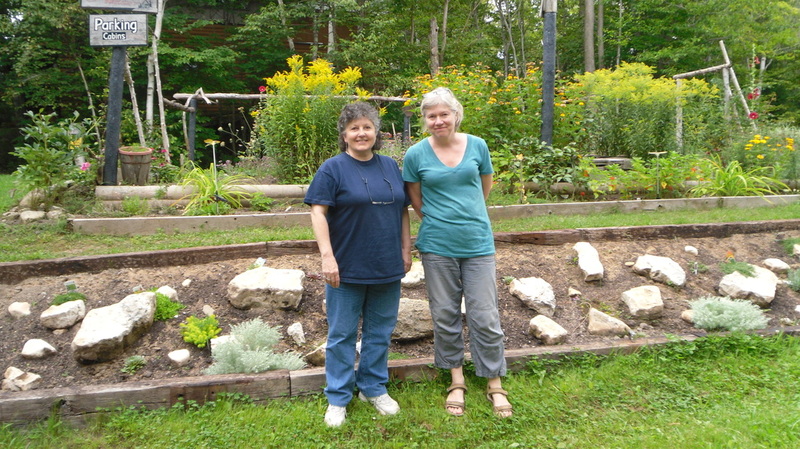 We want to share a few photos of the great people we have met thru this program. 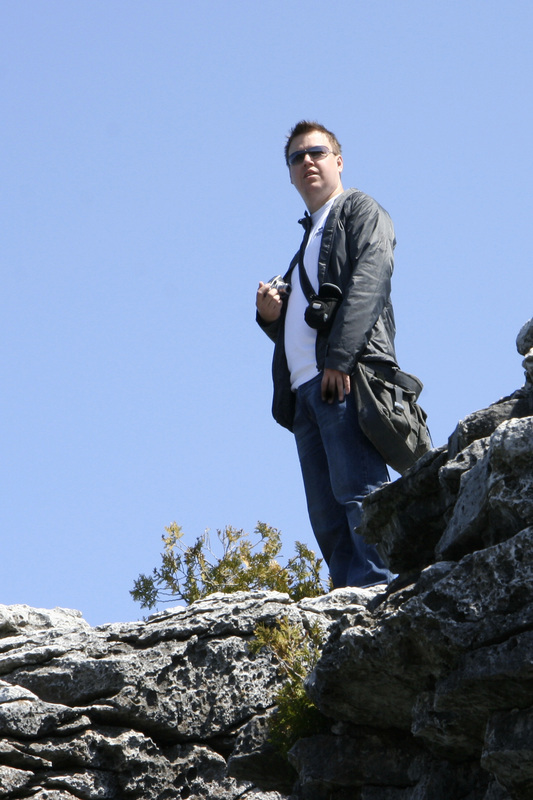 If you are interested in staying here on this exchange program, contact us and we would be happy to chat with you. Christina, from France, my gardener. Had lots of great chats over lunch each day. 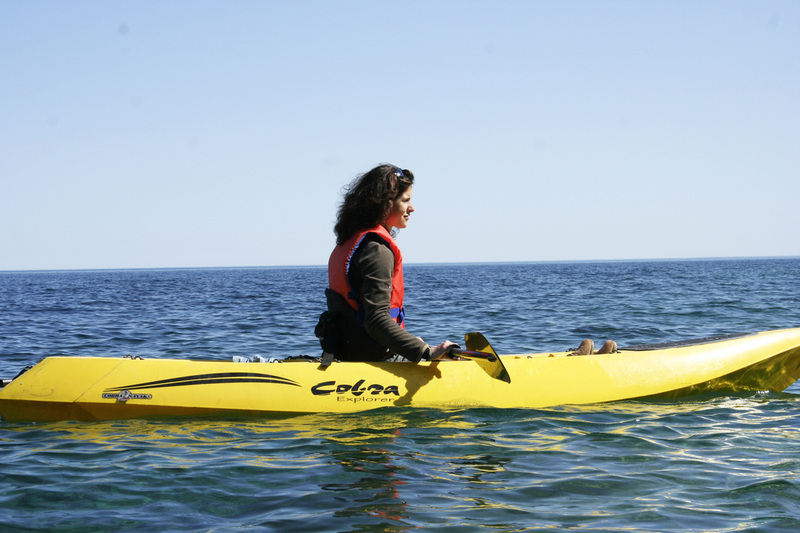 Virginie kayaking on Georgian Bay. 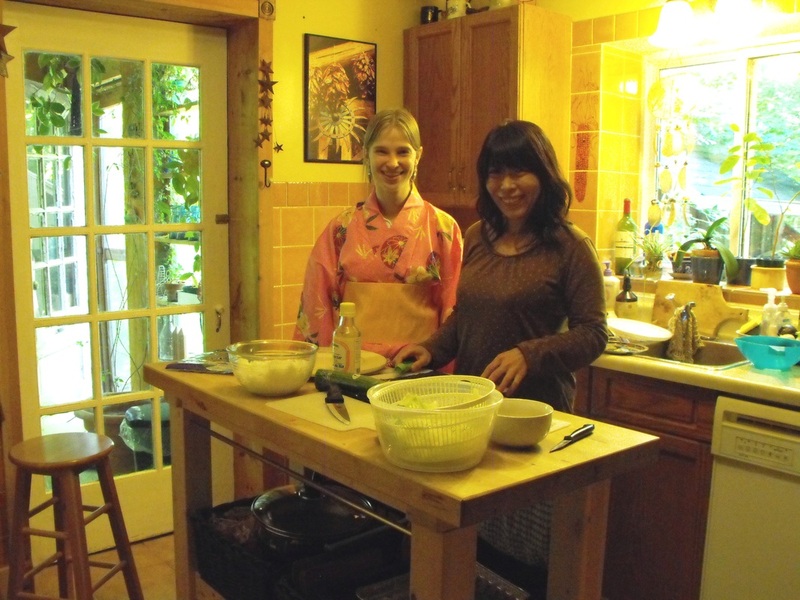 Mami, from Japan, helping Heather make sushi. My gardens missed Mami, she was always tenderly working on them. Heather is wearing the kimona that Mami brought us from Japan. 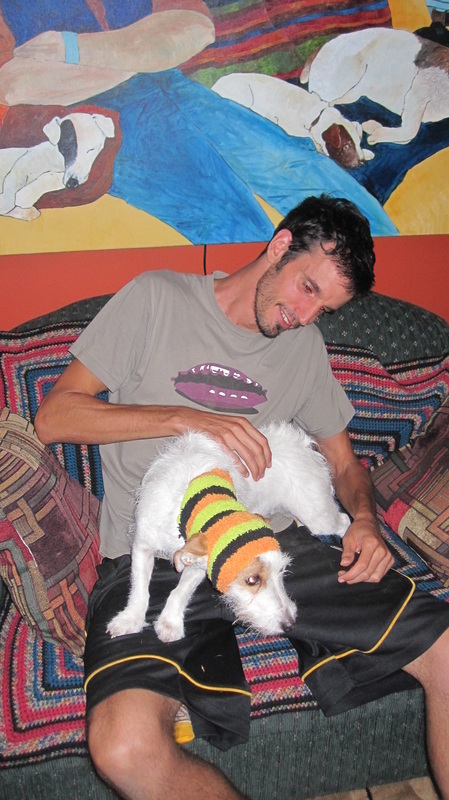 Jean-Remi and Marina, from France. Helped with the BPSA Bear Project. 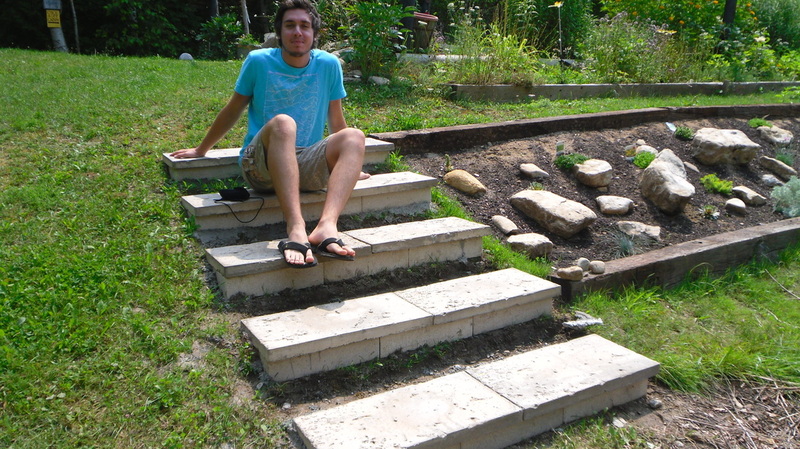 Jean-Remi's beautiful new steps and rock garden. Adam and Sarah, from England. 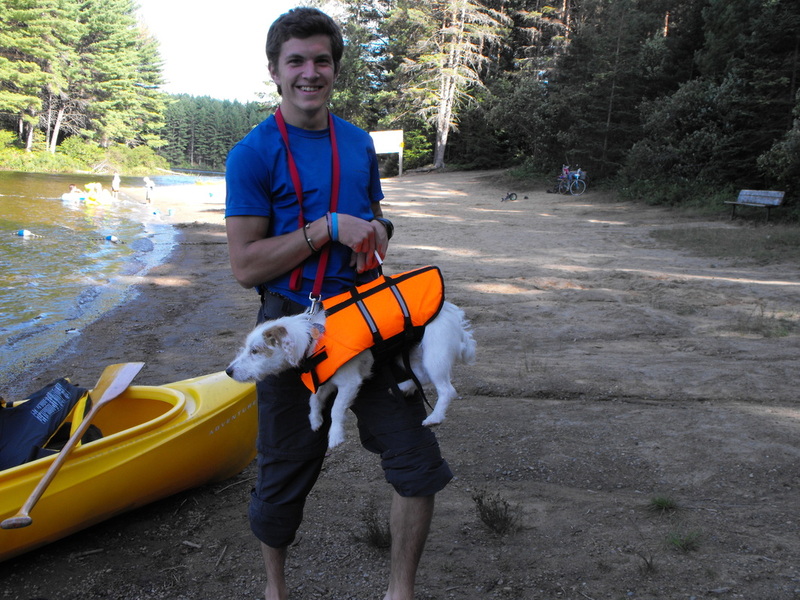 Charles, from France, with Holly and her very fashionable kayaking vest. 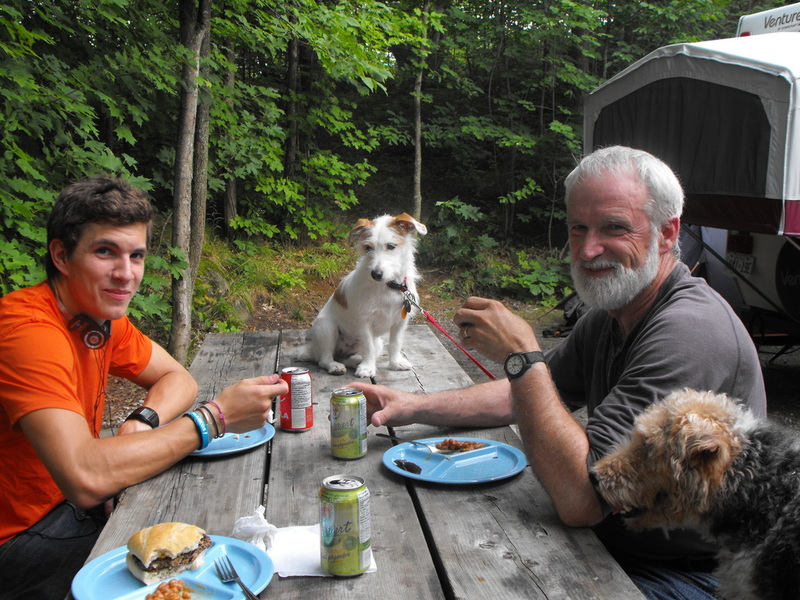 We all went camping to Algonquin Park. Virginie, France, painting the porch door. 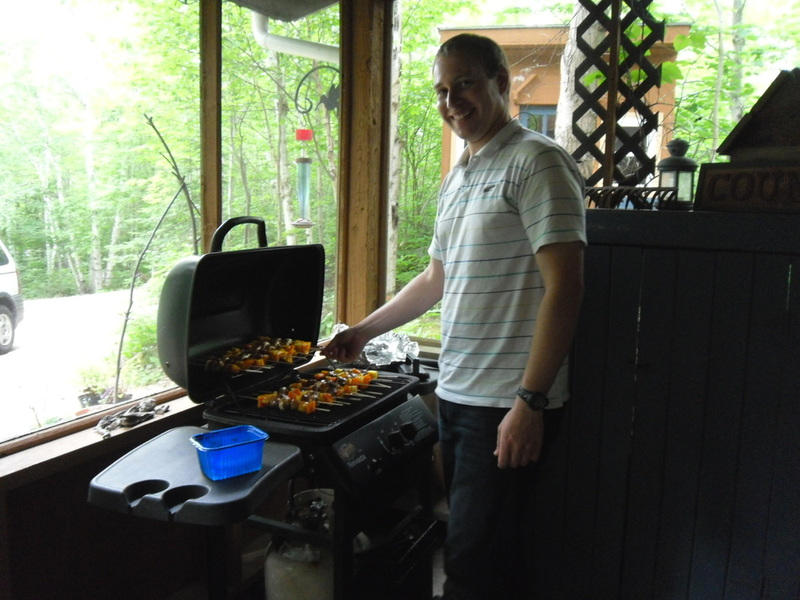 Tony, from New Zealand, cooking shrimp on the barby! Andrea, from Italy, our first helper. He helped finish Chickadee Cabin. And cooked a mean pasta! 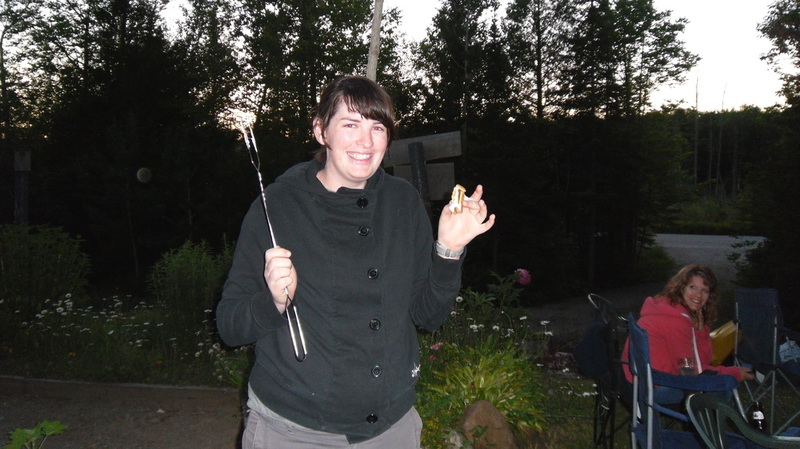 Jesse, from Australia, having her first smores at a campfire. Jesse and Tony re-created my gardens into an amazing spot! Best tomatoes ever! Adam, from England, helped build the bunky where our helpers stay. Missing from photos are John and Nicole from USA. Still hoping to find photos in my files. They were great helpers, John a master potter and Nicole a sulptor. They helped with staining the buildings , setting up the pottery studio here and many other tasks. 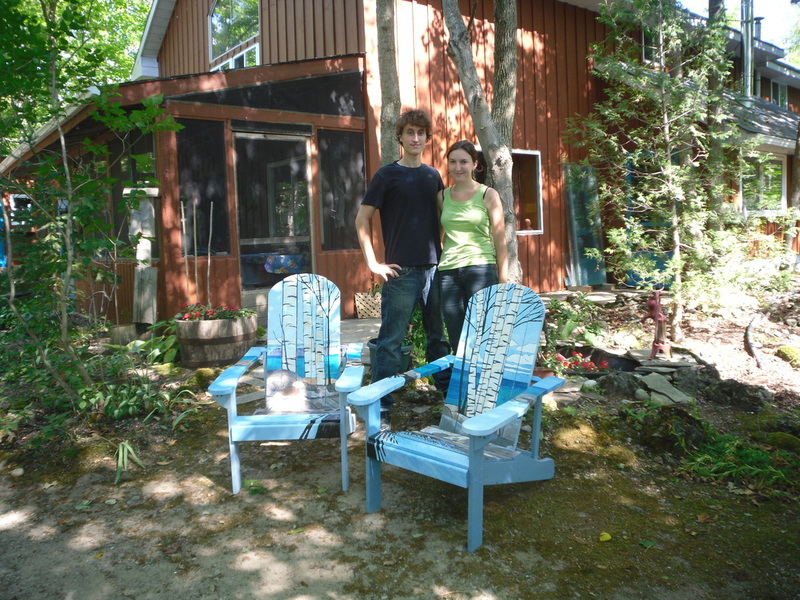 Marthe and Matthieu (France) with the Muskoka chairs they built for me to paint. Charles ( France) with Carl and Holly and Brinkley. Beans, veggie burgers and camping. 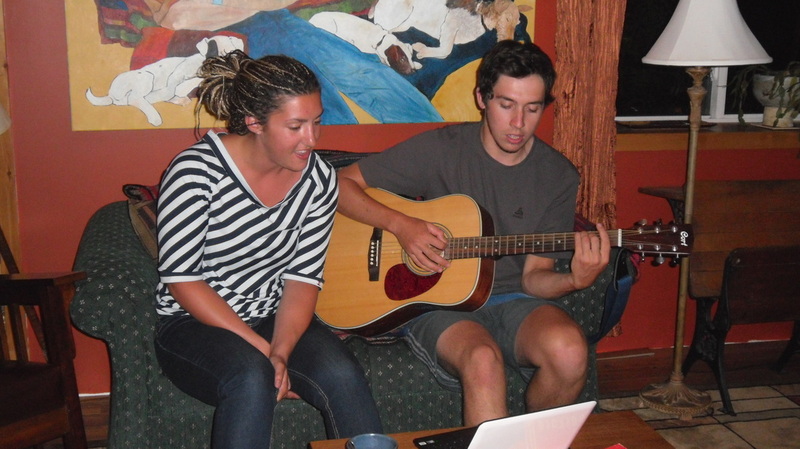 Marina and Jean-Remi, entertaining us with singing and guitar. Jean-Remi is a very talented musician, we miss his music in the house. 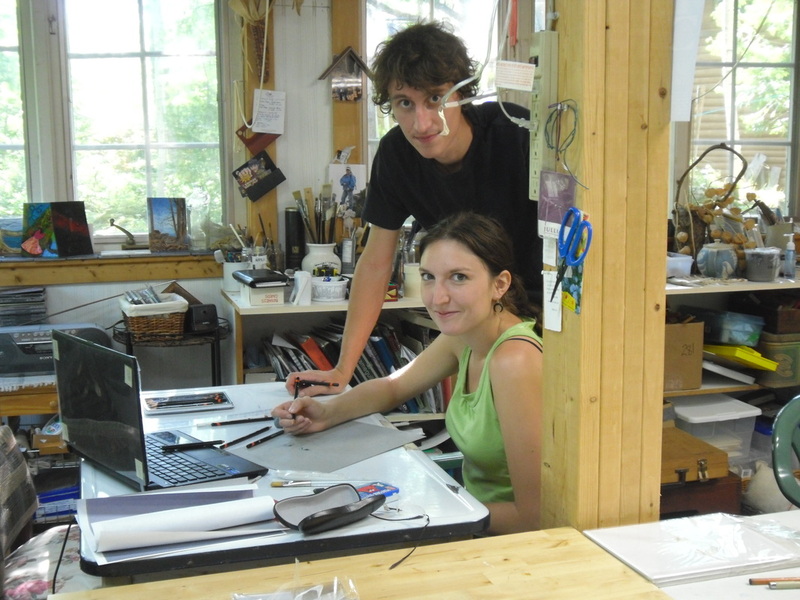 Matthieu and Marthe in my studio - excellent artists themselves! 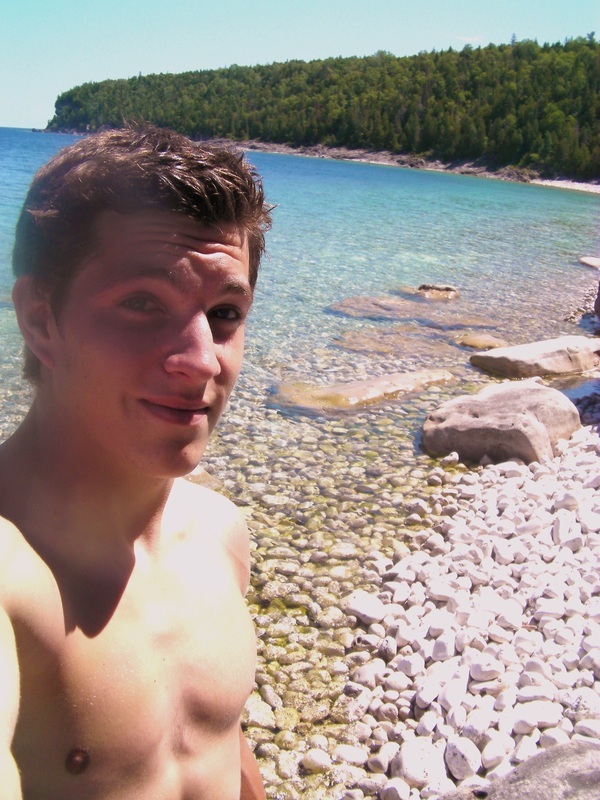 Charles swimming along Georgian Bay. Charles helped with staining the buildings, painting and many more tasks. Lin and Leslie, - . 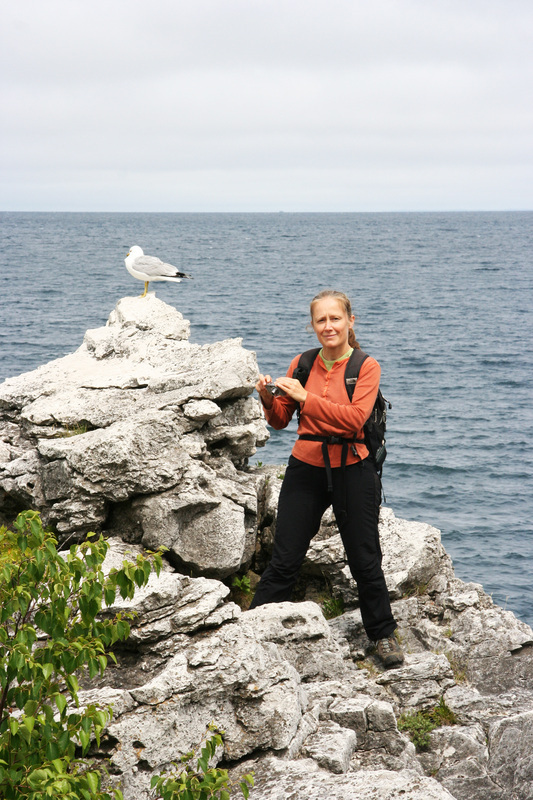 Leslie pampered my garden and looked after Chickadee Cabin while here. 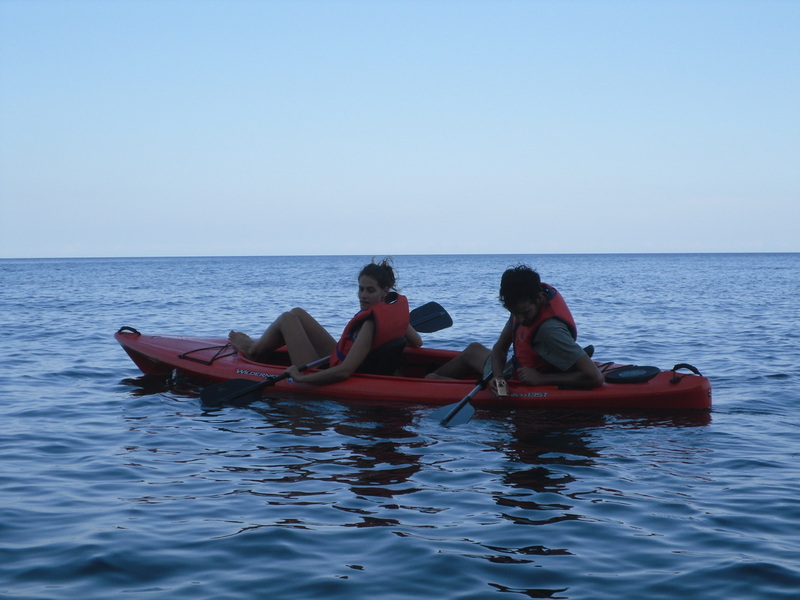 Marjolean and Anthony (France), a little relaxation in the kayaks. Marjolean's quiche was heaven! And Anthony made a delicious chocolate cheesecake. Anthony and Holly - Holly wearing her sock...a silly night! 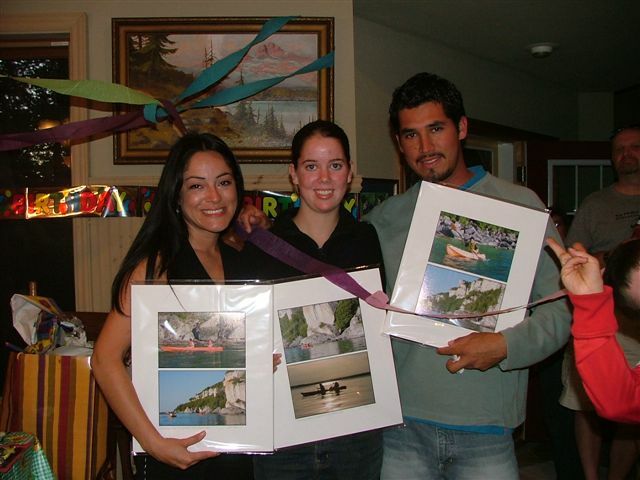 Kate, from Costa Rica, Tracy, from Colorado USA, and Sylvestri from Mexico. 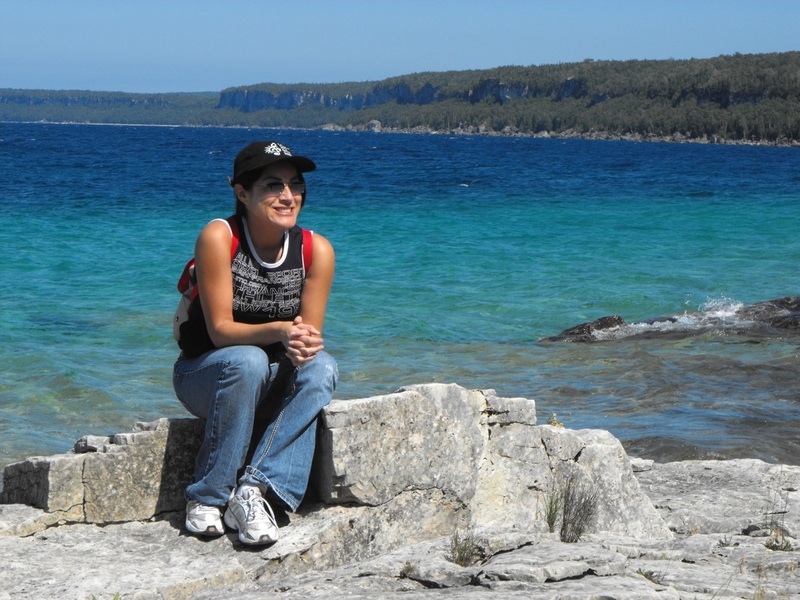 Kate, from Costa Rica, on a hike along Georgian Bay. Luc and Louis Our overnight French guys...always welcome! Marie with Brinkley and Holly - they sure enjoyed the long walks with Marie!